Perfect for all the nature-loving Moms out there! Although the blogger uses a fancy sticker maker to make the backings, you could always use glue to adhere the decorative backing to the cardboard backing if you don’t have a sticker maker. Since most of the supplies come in sets, why not plan a girl’s night and invite some of your friends to come over and make these with you? Crafting is always more fun when done with friends…and a bottle or two of wine! 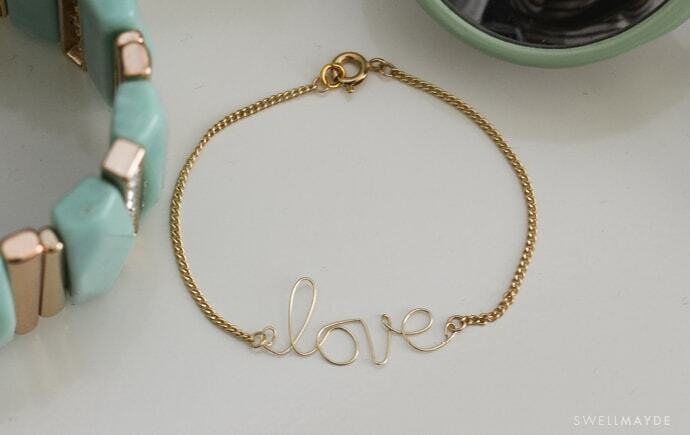 This stylish bracelet is the perfect home-made gift of love for the fashionista Moms out there! Click through for the tutorial and to see how great this bracelet looks when paired with other bracelets. You could also choose to make another word if you’d rather. How bright and colorful! And of course, ric rac comes in so many colors, so you could choose Mom’s favorite. Ric rac comes in a variety of widths; this ring was made using the widest width. If you’d prefer a smaller ring, just use a more narrow size. 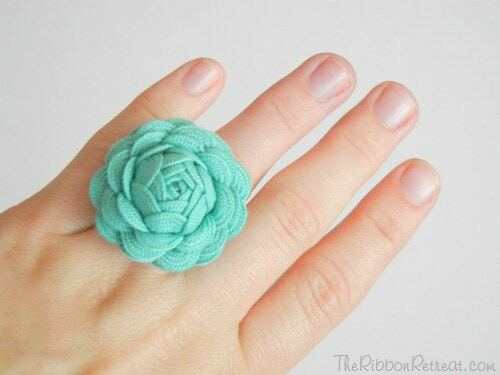 You could also make the rose and use it in hair or as an embellishment for another project. I love projects where the supply list is only 3 items! 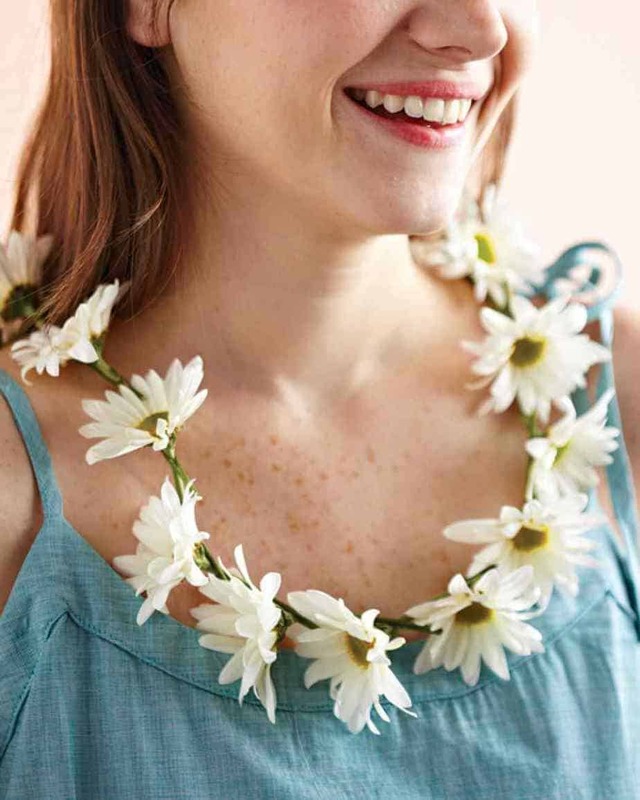 This adorable daisy chain necklace is simple enough for kids! It won’t last long, since it uses fresh daisies, but it’s a fun and easy project that Mom will enjoy wearing for a day or so. Another fun project for the kids to do! 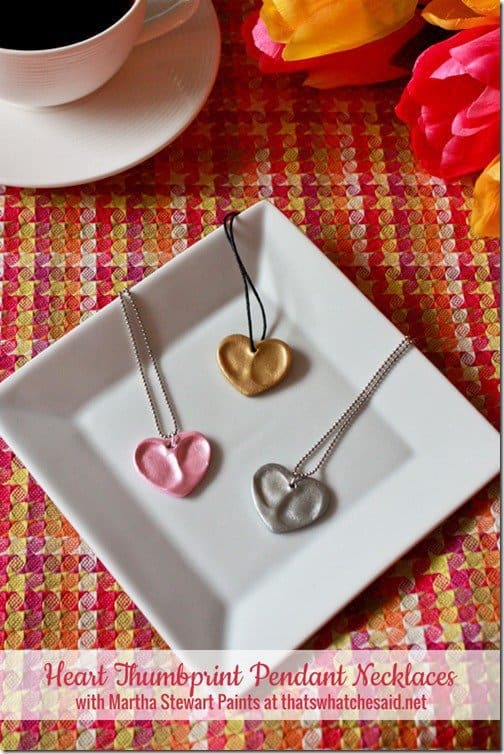 And Mom, Grandma or auntie is bound to treasure the tiny thumbprints of their loved ones. 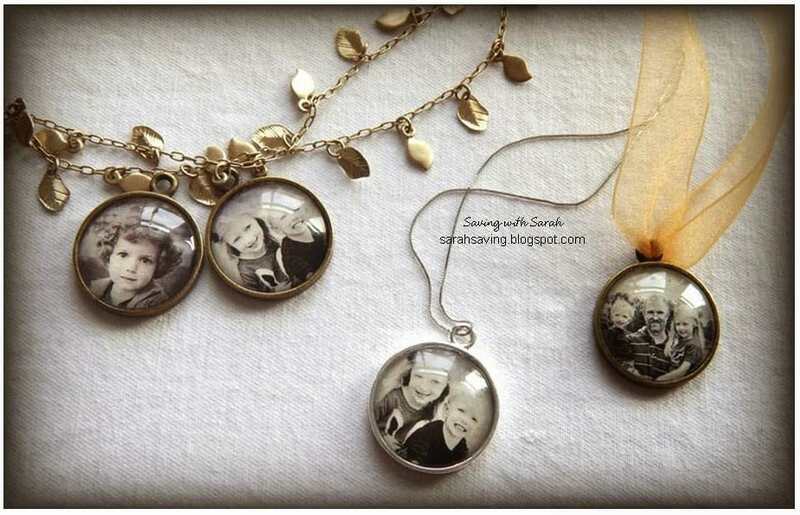 These vintage style photo necklaces are sure to thrill Mom on Mother’s Day! Using black and white photos certainly gives a retro style, but you could also use color pictures if you’d prefer. 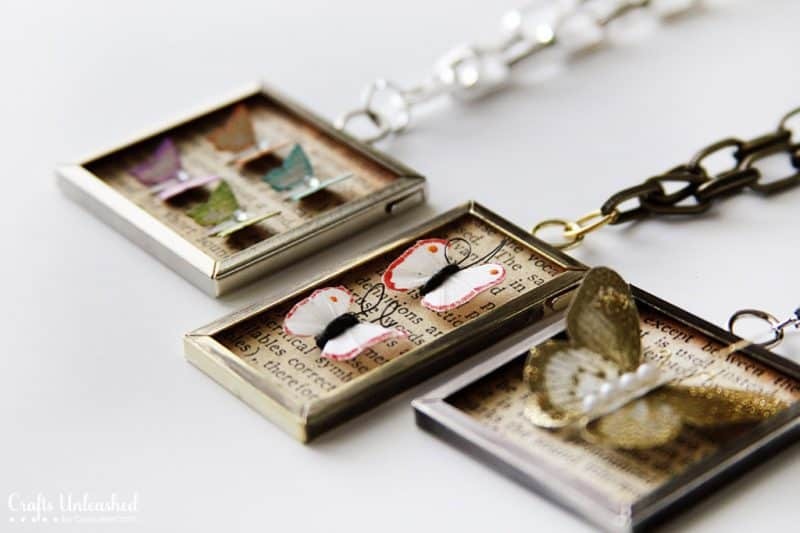 Another gorgeous nature-themed craft that Mom will love wearing! Use different wire and chains to change the look…you could also use pearls for the “eggs”. 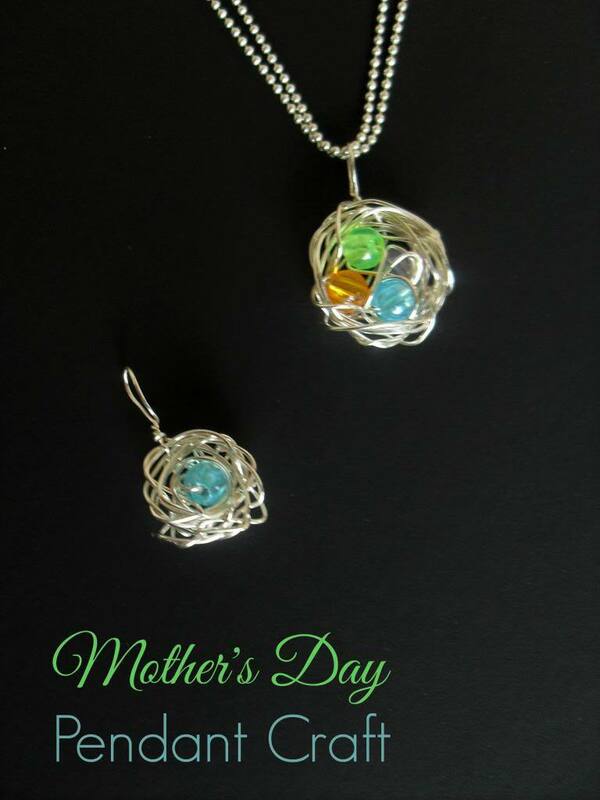 What an adorable way to let Mom know how much you like her! 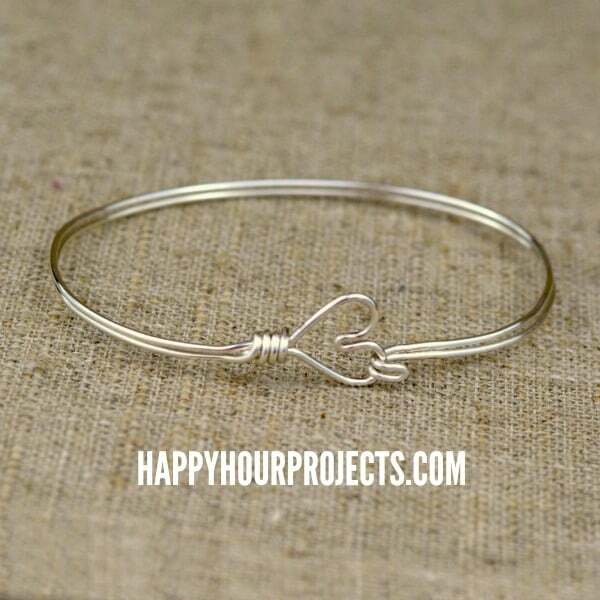 This sweet wire bangle just takes a few minutes to make, and if you have jewelry pliers on hand, it’s very low cost. Much more sophisticated than any of the clay pots you made as a kid! 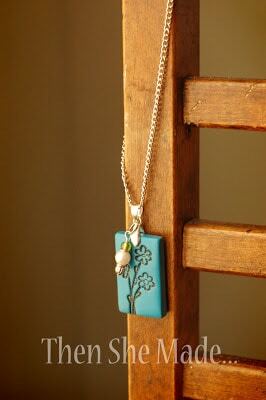 This darling necklace is made using a stamp set and Sculpey clay (you can get both at your local craft store). The design is then painted to add accent color. The detailed directions will help you make this project a success even if you’ve never really made clay jewelry! 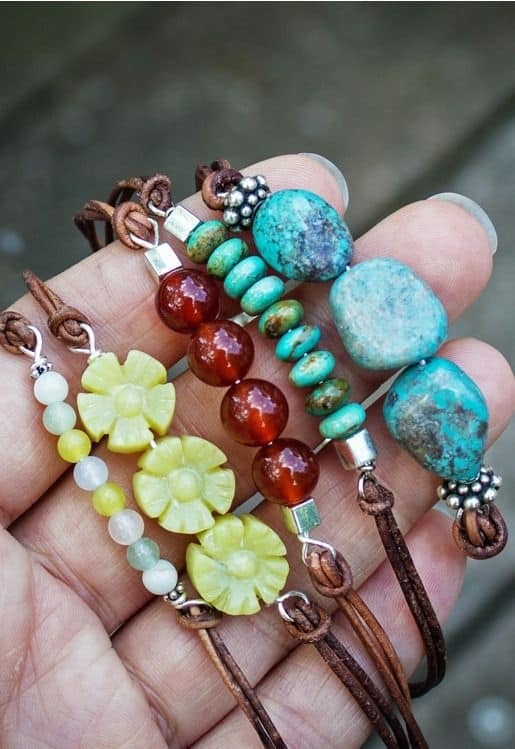 So many design possibilities with these beaded leather bracelets…I think one of the hardest parts will be just choosing the charms! If you’ve never worked with wire, this might be a good project to start with, as the instructions are incredibly detailed.